Services are completely customized to meet my client's needs, and pricing is determined based on several factors: How many people I will be cooking for, how often I'll be cooking, if there are any special dietary requirements, and which meal plan will work best for your family. I also offer a 4 meal service, for $375.00. 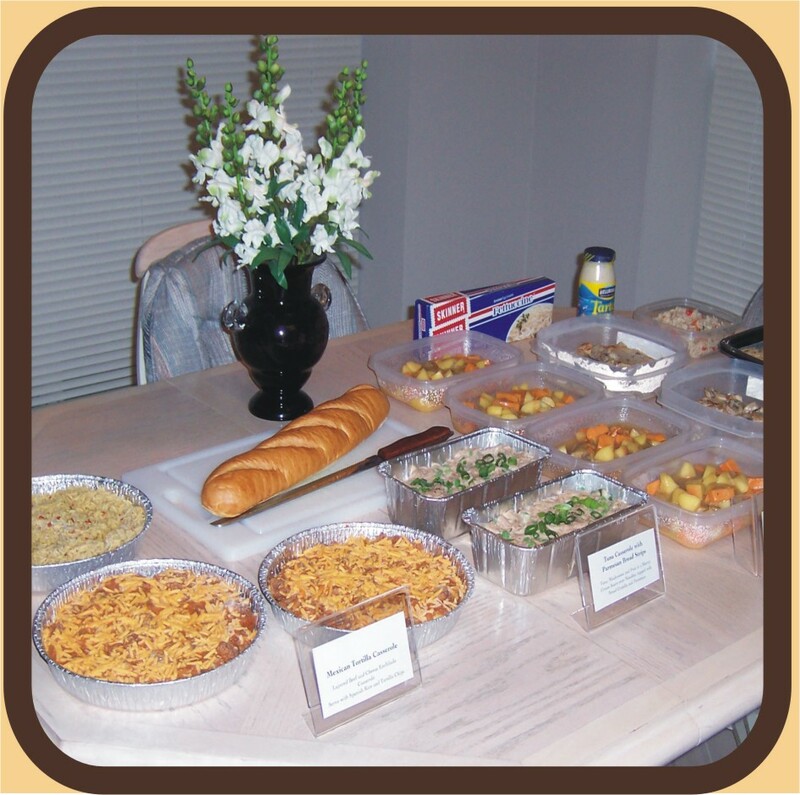 Pricing includes everything from the customized meals plans that we create together to the groceries and the food packaging containers. The "per person" charge for more than 2 people is only $10.00 per person, per serving. * Please note that there may be an additional fee of $50.00 per service for very complex dietary requirements. by Marie also makes Gift Certificates available. They have become a popular gift for that person who has everything. 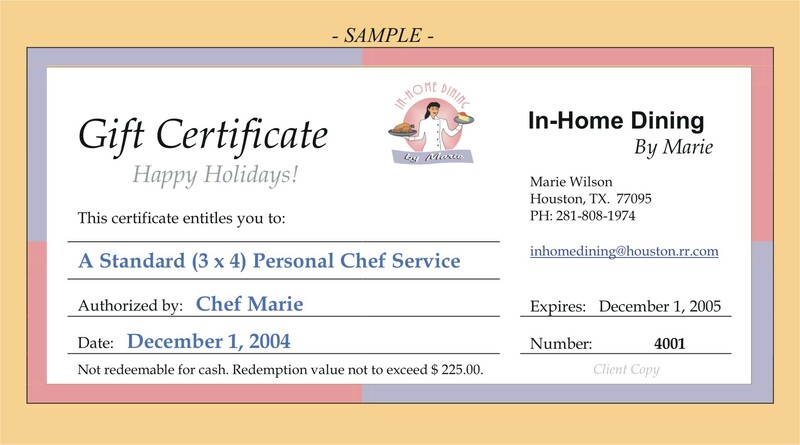 The Gift Certificate announces the gift and explains the service; Marie then meets with the recipient to create the menu.